DC Comics Present and Chief Content Officer, Diane Nelson recently said (clickable link there) that there would be no shared universe between television properties like Arrow, The Flash, Gotham, Legends of Tomorrow, Vixen, Supergirl and the upcoming slate of films like Batman V. Superman. The reason is that it would hinder natural storytelling. Nelson's quote is that it would, "...end up handcuffing our creators into trying to work with the same storyline or force them to hold back characters or introduce certain characters. Ultimately it hinders the ability for someone like (showrunner) Bruno Heller to come in and create ‘Gotham.’"
You can read the quote in a number of places. I found it here (clickable link). As a fan of DC Comics characters, yes, this does bother me. It really shouldn't. It shouldn't give me the impression that characters like Superman, Batman and Wonder Woman are being managed by people that really do not understand them. There are a lot of fans, like myself, that believe that comics have been corporatized and the characters reduced to brands, and storytelling eliminated completely. There seems to be no shortage of disenfranchised comic book fans. I had to stop and think about what she said. DC Entertainment is home to the Multiverse. So, she understands what she's saying. To DC Entertainment and Warner Bros. creating multiple, individual, separate threads is not unusual. It would be unusual for DC and Warner Bros. to have a single, cohesive universe and timeline. That's Marvel's thing. Marvel is known for a single cohesive timeline. Marvel may dabble in multiple, alternate realities; however, those are secondary, or subordinate to the main single, cohesive timeline. Marvel may have had an Ultimate Universe; and now, a Cinematic Universe, but only DC has it's realities "categorized". Earth-2 (Two) is pretty much everything Golden Age. More recently it has become an alternate reality, but originally it was Classic DC. Jay Garrick, Alan Scott, Carter Hall, Ted Grant; The Justice Society of America. Featuring alternate, or old-fashioned takes on Superman, Batman and Wonder Woman. 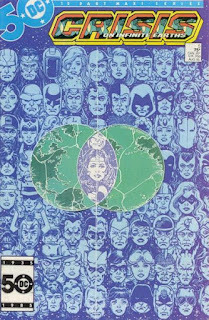 Earth-1 (One), where Batman, Superman and Wonder Woman really live, along with more modern heroes like Barry Allen, Hal Jordan, Ray Palmer, along with Katar and Shayera Hol. 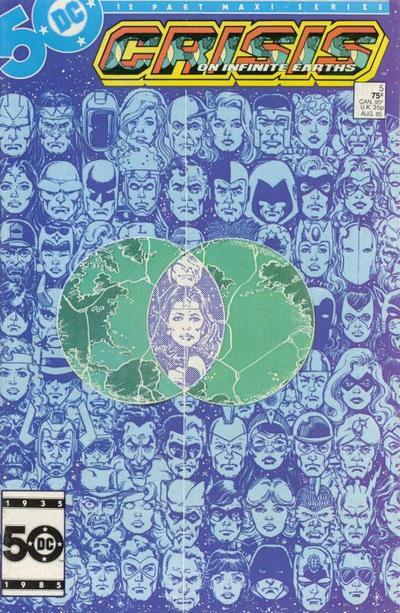 Earth-3 (Three), for evil versions like Ultraman, Owlman, Superwoman, Johnny Quick and Power Ring. The Crime Syndicate has pretty much eliminated all other meta-humans to conquer that Earth. There's also an Earth-S for The Shazam Family, there was an Earth for the Quality Comics heroes, an Earth-X for heroes like Plastic Man and Uncle Sam. There were each a bunch of different Earths for different purposes. The purpose of 1985's Crisis on Infinite Earths was to streamline everything, boil down all the alternate realities, timelines, universes and Earths into a single, cohesive DCU. It lasted for roughly twenty-five years and was most recently undone. DC now has 52 Earths! The truth is, DC specializes in alternate realities. Look at the multiple iterations of Batman. There were the politically incorrect films in the 1940's; followed by the campy '66 television series; the late '60's, '70's and '80's cartoons as well as the Super Friends interpretation. There was the 1989 Batman film, followed in style by the 1992 Batman: The Animated Series. Batman teamed up with Superman, then the Justice League. There was a cartoon that looked at the early years of The Batman; then Batman: The Brave and the Bold. There was Beware The Batman. Now, we have a Batman-less television series, Gotham. This is just live action and animation. Batman has changed noticeably by decade in comics. 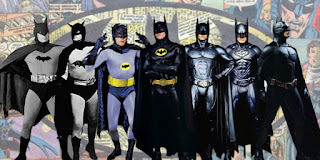 Neal Adams and Dennis O'Neil specifically changed Batman following the cancellation of the Batman television series in 1969, returning him to his original dark, Gothic roots from the late '30's and early '40's. Batman is just one of DC's many characters that has changed over the years. The only honest way to explain all of the different iterations co-existing is through multiversity. Which is DC's specialty. Even though Marvel has Golden Age characters; Captain America, The Human Torch and Namor, the Sub-Mariner, Marvel has never had a separate or alternate timeline for these characters. The alternate realities are more "What If? ", or "Elseworlds" material. Marvel has one single history and timeline, whereas DC has multiple, alternate histories. Which it continues to re-write. As a fan of DC Comics and characters like Batman, Superman, Wonder Woman, the Justice League and Teen Titans, this is pretty disappointing. As much as I might like the comics, the cartoons, the television series or films, they are all going to be different from one another for the sake of "storytelling". It was incredibly disappointing that Smallville wrapped up with such a sense of hope and optimism and Man of Steel was released with a continued sense of dark brooding and angst. At least we have Superman: The Movie and Superman II. As a fan, the question I'm left with is this: What stories are served by having a weekly television series franchise with one Barry Allen and a periodic film franchise starring another Barry Allen? Wouldn't that be limiting the scope of either, so as not to infringe on either? A television series can tell certain stories that roll out over weeks at a time. A film is more of a capsule. It tells a single story. It's a single adventure. There is an event and that event mist be resolved. Wouldn't there be a natural desire and inclination to recycle that audience from television to film, and from film and television to comic books and novelizations? Loop the media? Looking at Nelson's argument involving the Fox drama Gotham, a Batman-less Batman series, the timeline there seems wonky. While no ages are given in the comics, none of the characters look older than Batman, except Gordon and Alfred. At least, on paper. Maybe in Batman '66 The Joker was a little older than Adam West's Batman. Gotham is presenting the formation of a Batman rogues gallery. Yes, it's compelling. But the basic conceit is that Batman inspired these tragic figures to come out of the shadows. More importantly, these characters are much more than any police force can handle because of their singular uniqueness. Gotham is contained in one "snow globe", while the big screen Batman is self-contained in another "snow globe" - separate from each other. That creates more confusion than it eliminates. I'm okay with Adam West being different from the Michael Keaton, Kevin Conroy and Diedrich Bader versions of Batman. But to have two similar versions co-existing simultaneously? 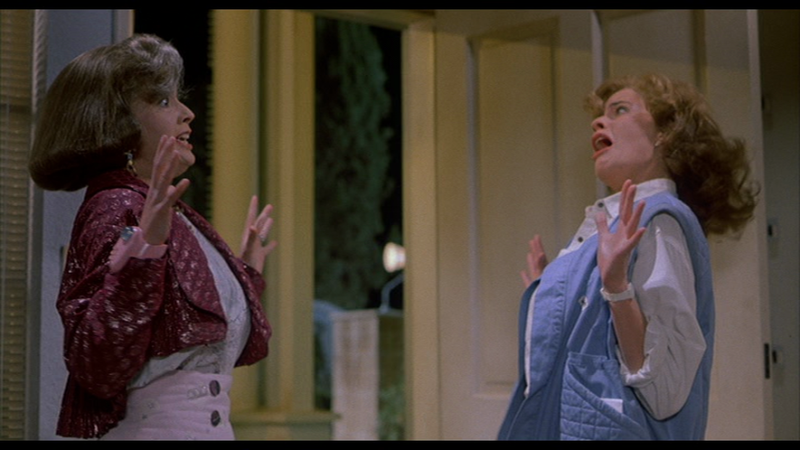 That's like the two Jennifers seeing themselves in Back to the Future, Part II. As a fan of DC Comics and some of the greatest characters ever, here's what I want: Keep It Simple, Stupid.